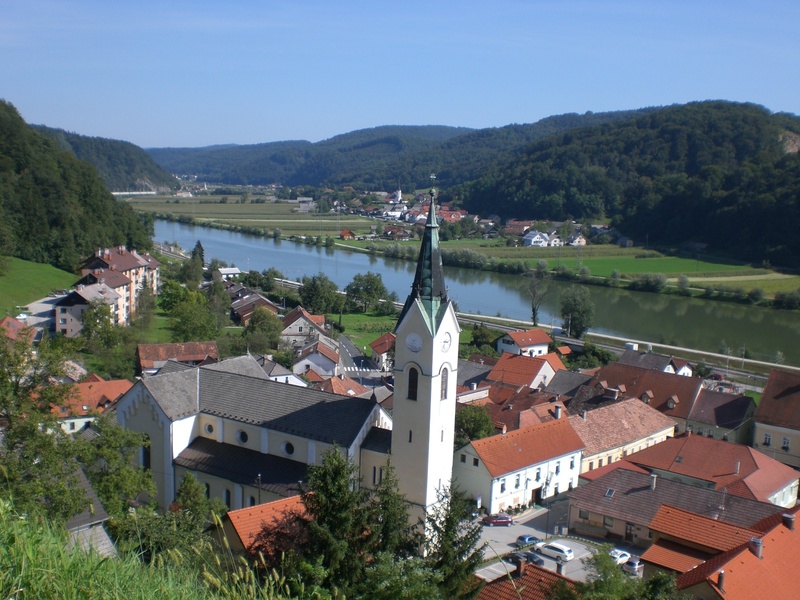 Sevnica: So Much to see and Do! 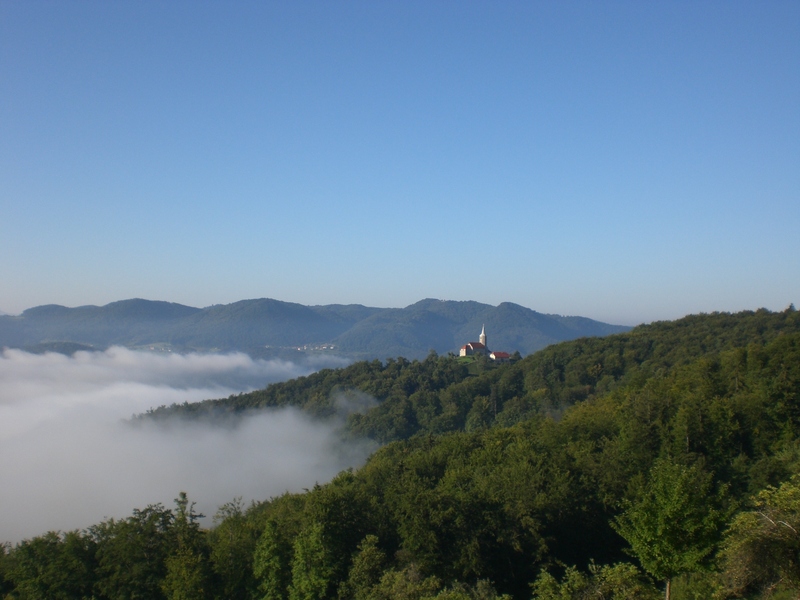 One of the aims of my blog is to draw attention to lesser-known areas of Slovenia, or at least those that are lesser-known to those visiting Slovenia from abroad. Places that, on first glance, you, and indeed I, might not give a second glance and by doing so I myself have discovered, and am still doing so, so many wonderful parts of the country that are ripe for exploring. This time it’s Sevnica in the southeast of Slovenia in the Posavje region which is the country’s most forested areas – 68%, has two wine roads and is one of the main wine growing regions in Slovenia, and has numerous beautiful castles and churches and other sights of interest. The new town of Sevnica was developed with the building of the railway line and is the main residential and shopping area and is on the main line from Ljubljana so even for those without their own transport it’s easy enough to visit. 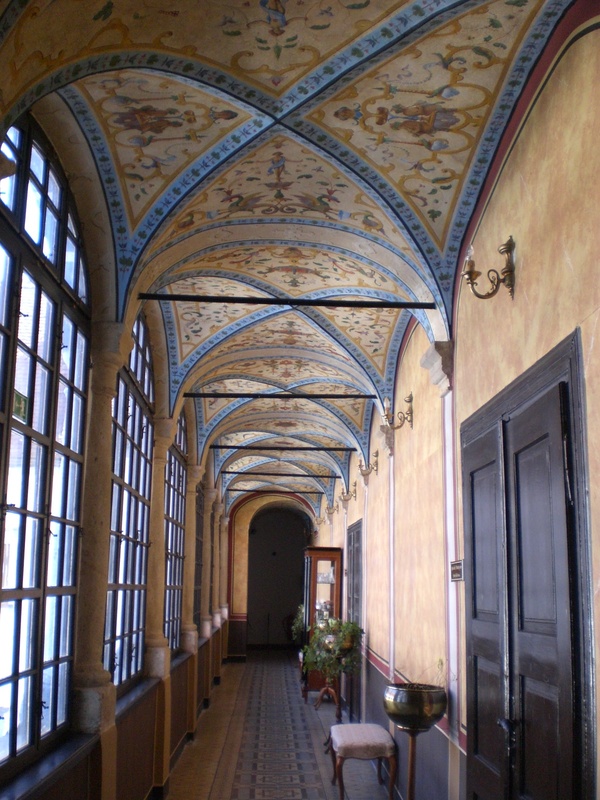 The town’s star attraction is undoubtedly Sevnica Castle, set on top of a small hill above the old town centre. It’s worth taking a tour of the castle as it contains much of interest including the Castle Puppet Theatre, Wine Cellar, Baroque Salon, School Museum and several galleries and exhibitions, and the Castle Café, the terraces of which offer fabulous views. Sevnica is the starting point of the Bizeljsko-Sremiška wine road, as well as being on the Gornjedolenjska wine road, hence the whole area is awash with rolling green hills, vineyards and beautiful vistas. 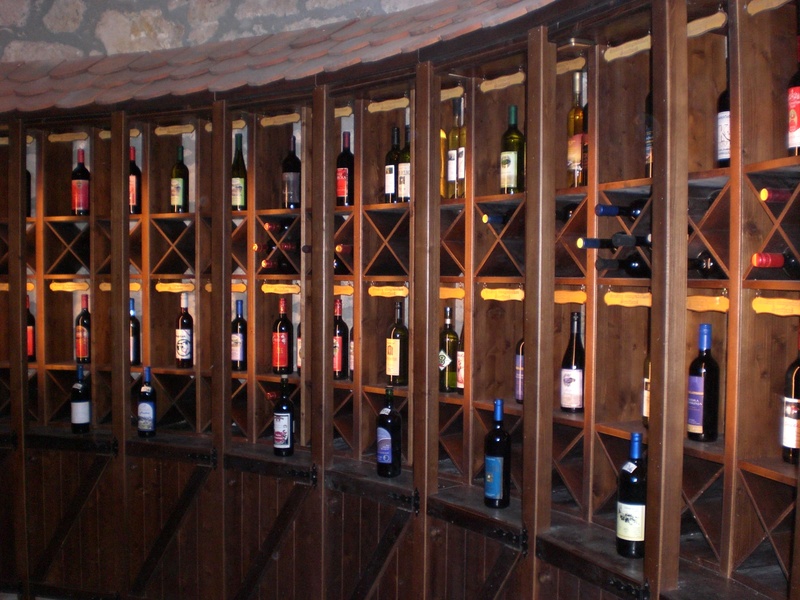 Tourist farms and vineyard cottages, called zidanice, are popular options for sampling some of the local wine and food, and also provide accommodation, so you can enjoy more than just a taste! I timed my visit to coincide with the Sevnica Mountain Marathon (Sevniški planinski maraton) which was organised for the first time this year to mark the 110th year of the Sevnica Mountain Association. 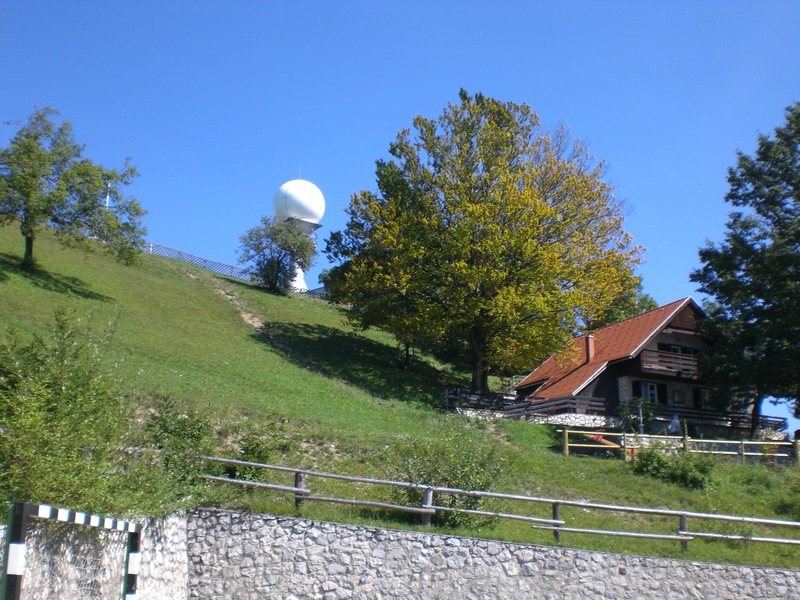 The marathon takes place along the Sevnica Mountain Route (Sevniška planinska pot) which can also be walked independently as it is very well-marked throughout. The day of the marathon was a sweltering 33 degrees but fortunately much of the route is through the forest which provided welcome shade. The event was very well run and I have nothing but praise for the organisers. There were a choice of 6 routes ranging from 6km to 67km. Surprisingly, the most popular route was the longest one, I hasten to add that I didn’t opt for that one! I instead chose the 30km Ajdovska route which covered a total of just under 8,000 metres of incline and just over 8,000 of decline. Along the way there were water, feed stations and we were even greeted at one stop by accordion music. 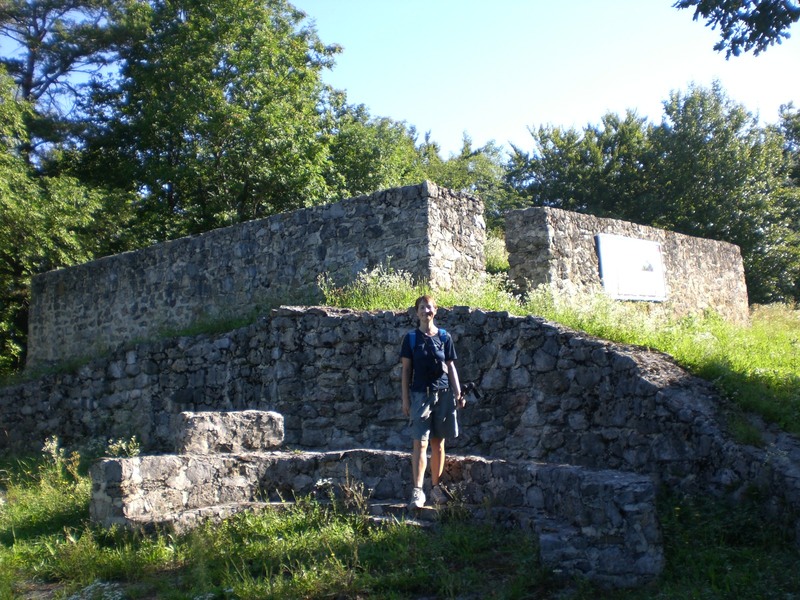 The route passed the Ajdovski gradec Archaelogical Park, where a short guided tour was available, and later ascended to the peak of Lisca, home to the very popular Tončkov dom mountain hut where a hearty dish of goulash was on offer for hikers. The site was discovered by locals in 1811 when a Roman tombstone and sarcophagus was found and later more detailed excavations took place. Today the remains of the foundations of a late Roman or early Christian settlement from the 5th or 6th century can be seen. 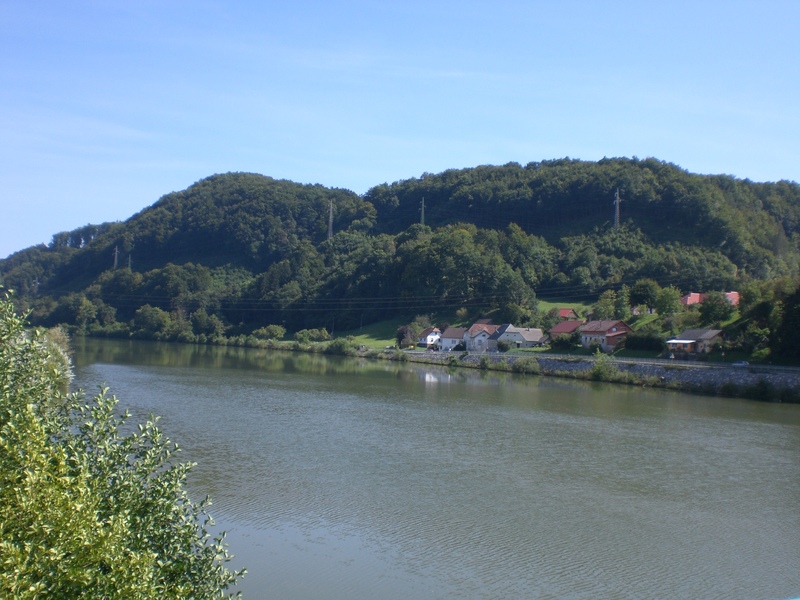 The Sava River runs through the heart of Sevnica and acts as a border between the regions of Dolenjska and Štajerska. It is popular with anglers as due to the slow flow of the river there is an unusually high number and variety of fish in this part of the river and access to the river is also easy here due to well-maintained paths. it is also here that the Sava rivers makes its biggest bend as it heads onwards towards Croatia. Beside the river there are a group of stones, which form a Geopuncture Circle, created by the distinguished author Marko Pogačnik. Another speciality in Sevnica is the annual Salamijada (Salami Festival) which has been running for over 50 years and takes places at the popular restaurant Gostilna Vrtošek in the old town. 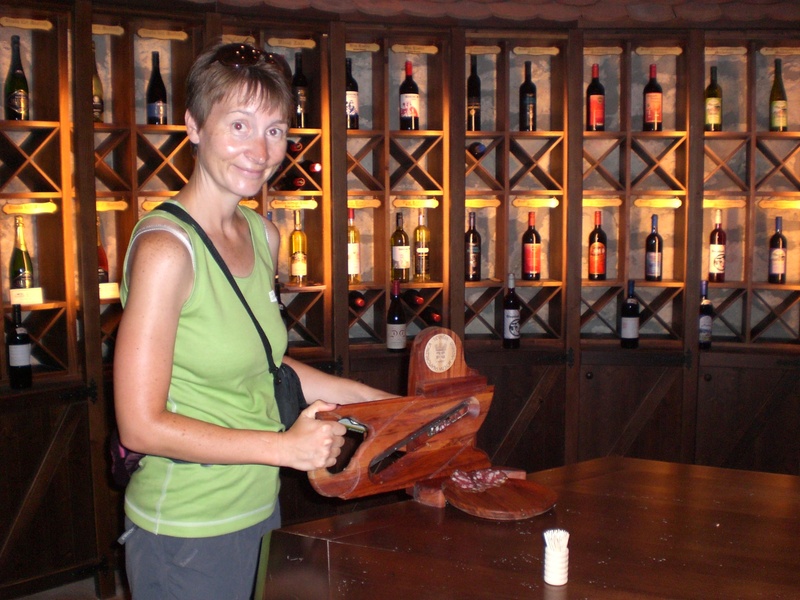 During my tour of Sevnica Castle I also had a chance to sample some of the delicious local salami (and that comes from someone who doesn’t even usually like salami!) produced by the Grajske mesnine butchers, who also produced other local specialities available at the town’s Farm Co-operative (Kmetijska zadruga). 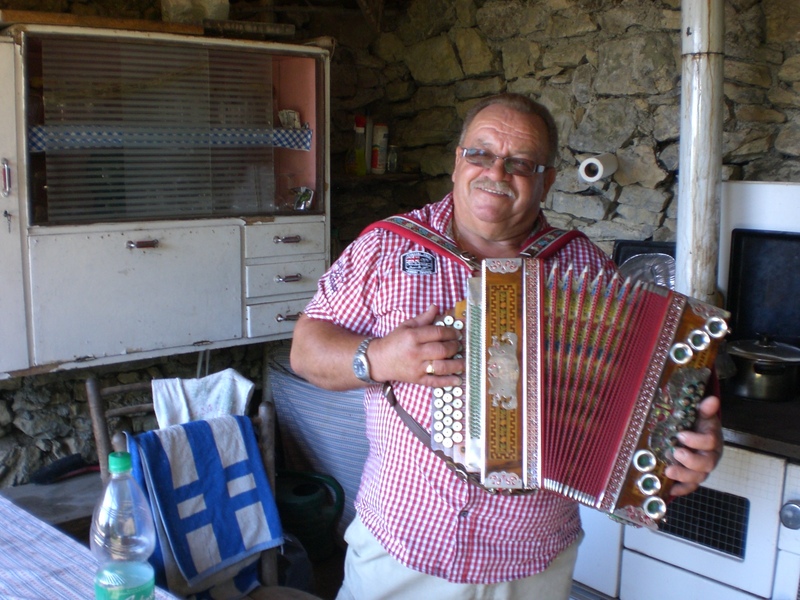 So, as you can see, there’s plenty to see and do in Sevnica. Way too much for just one blog! Information about all the above, and more, can be found on the very comprehensive Tourism Sevnica website – see below. « Food, Glorious Slovene Food! Kaj pa o melaniji tramp, ki je iz sevnice?